Meta hauls souls to Hell. Sol thinks sneezing during prayer is a sin. But Meta finds herself falling for him just as Satan tempts her with power and acceptance she’s never known. In a world where forbidden desires are paid for with your soul, young Meta must decide if she’s willing to turn from the alluring darkness and give her heart to an angelic man who was never meant to be hers. Immerse yourself in this young adult paranormal romance fiction rich with engaging characters and surprising twists and turns from bestselling author, Heather Choate. 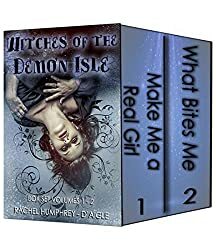 A Little Bit Funny, A Little Bit Romantic, with a Wicked Side of Supernatural Trouble- Witches of The Demon Isle. Come stalk the streets of The Demon Isle... you'll go up against witches, vampires, werewolves, demons, guardians, shapeshifters, ghosts, ghasts, mermaids, faeries and a host of other devious supernatural creatures waiting to wreak havoc on The Demon Isle. 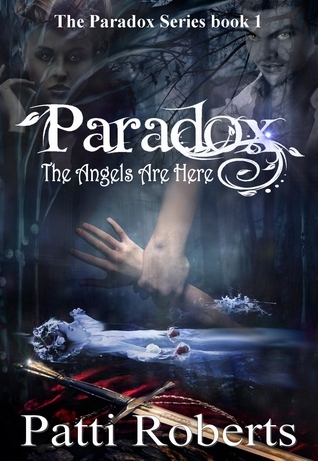 Where fans of the paranormal come to vacation and immerse themselves in fantasy. Where magic comes to life, mysteries abound, and you might just find yourself laughing, crying, and most definitely, falling in love. Melinda Howard is the Demon Isle's weird girl... the one that's been holed up in the Howard Mansion for the last four years. Why? No one knows the truth except for her family... a long line of witches charged with protecting the Demon Isle, currently led by four hundred year old vampire, William Wakefield. Another reason Melinda doesn't mind her self-inflicted imprisonment. She gets to spend more time with William, her crush for nearly all her life who's too hot for words. And now, so are her dreams. Dreams that have a tendency to come true. Although typically, they don't include the handsome vampire she's crushing on but rather horrifying visions of people about to die. But she cannot stay under self-inflicted house arrest forever! And if her brothers or William get their choice in the matter, Melinda will be out of the house partying with her friends on the beach, giving her affections to a human, not a vampire, and getting into her role as a witch. A role her eldest brother Charlie lives for, and a role her second brother Michael would rather live without. But when duty calls, usually from the local sheriff needing help with some tourist who's gotten themselves into trouble, life, fun and choice get set aside and duty takes over. Such is the case when the sheriff needs help solving a murder; one she fears is supernatural in nature. To assist her in the case, she calls upon the skills of Charlie, who's a little more than just a Howard Witch, and Michael, an empath and death reader. What Michael discovers from the reading however, could be more than any of them can deal with or accept. Worse yet, they fear what this discovery will do to Melinda, as it returns them all to the core of her self-imprisonment.